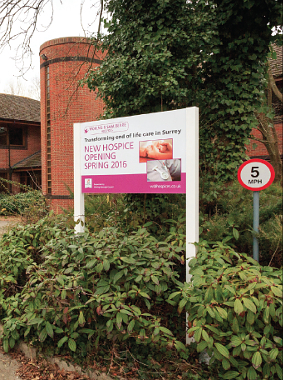 WOKING & Sam Beare Hospices are rolling out their services to cover Ripley, Send and Merrow. Although the hospices have been responsible for referrals for in-patient care, they will now take on the specialist palliative and end-of-life care provision of community services. The community team will consist of clinical nurse specialists (CNS), a Consultant in Palliative Care, a physiotherapist, occupational therapist (OT), complementary therapist and counsellor. The team is able to visit patients in any care setting – which can be a patient’s home, a nursing home or a residential home. Director of Clinical Services for the charities, Rachel Hill, said they were eager to reach as many people as possible. She added: “With CNS and community team cover already in place for the boroughs of Woking, Runnymede, Spelthorne and West Elmbridge, North Guildford is a natural progression for us. The first point of contact with the hospice will be a referral from any healthcare professional to the CNS team, and this is based on need rather than diagnosis. Any progressive, life-threatening illness is considered. The Woking & Sam Beare Hospices CNS team visit patients seven days a week and provide a 24-hour advice line. The CNS will then refer to the wider community team as appropriate; this may be for a physiotherapist or OT to visit to assess and help manage a condition, or for a counsellor to visit to talk through any concerns. Patients may also benefit from attending the hospice for a day to enjoy social interaction, activities, complementary therapies, lunch or even a spa bath. FOR further information on the services available in North West Surrey, simply go online to www.wsbhospices.co.uk.